Barnethead Farmhouse – Newstead, Middle Tweed. Barnethead is a former farmhouse nestling in the village of Newstead, (Tweedswood beat) within one and a quarter miles from Melrose, a town with many award winning hotels and restaurants. There are several excellent beats close by, the house itself sits on the Tweedswood beat but Drygrange, Pavilion and several other beats are easily reached. The house built around 1740 sleeps seven across its four bedrooms and has been completely refurbished including rewiring, plumbing, new bathrooms and recently discovered inglenook fireplace. Kitchen: A well appointed kitchen includes, dishwasher, microwave ,fridge with small freezer, the table can easily seat the number of guests staying. Note there is no washing machine. Lounge:The comfortable lounge boasts a charming log burning stove, comfortable seating, TV with DVD player and many indoor games. 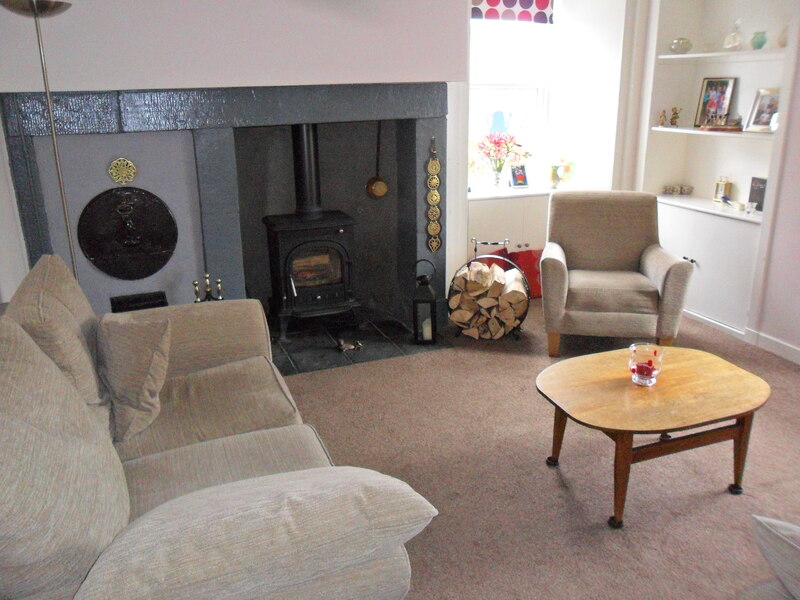 The house is centrally heated and enjoys a log burning stove in the lounge. A starter pack of logs will be made available further log supply can be bought locally. Four bedrooms across 2 floors. There is a very pleasant private garden with ample off road parking. The garden features a barbecue area, fire-pit and patio seating. There is a visitors pack available on arrival which includes local attractions, pubs, restaurants, walks, and general information on the property.There are many interesting walks from the house.